Happy first day of winter! ❄️☃️❄️It is a magical time to visit… – Sig Nordal, Jr. It is a magical time to visit Yosemite National Park in California. 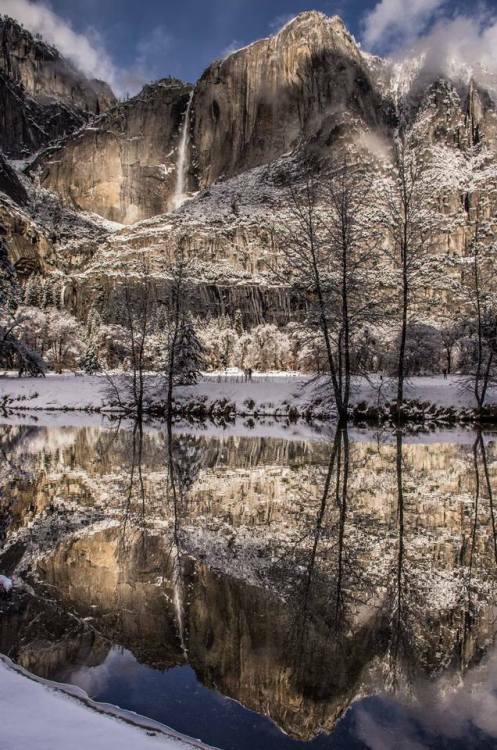 The silence and beauty of winter at Yosemite is an unforgettable experience as mesmerizing granite formations are dusted with snow and reflected in the glassy surface of the Merced River.